ABSTRACT: This chapter deals with the change of identity on the web as a result of the assemblage of social software platforms, engines and users. It can be stated that major platforms for presenting the self online have developed over time: the homepage, the blog, the social networking profile and the lifestream. They each have their own specific way for presenting the self online. The advent of the search engine has had a major impact on both the construction and the presentation of the online identity. Search engines not only index the platforms on which identity is performed, but they also organize and construct identity online. They act as a central point where identity performance is indexed. Since identity construction and identity performance have significantly changed with the advent of these engines, identity must be reconsidered. It can be argued that the assembly of platform, engine and user has constructed a new type of identity: Identity 2.0. 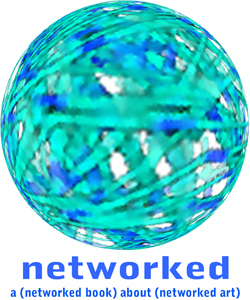 This type of identity, placed within the period of Web 2.0, is always under construction, never finished, networked, user-generated, distributed and persistent.